By 400,000 years ago, Enlil had built four centers in Sumer: Sippar his spaceport, Nippur, Mission Control, Shurrupak, Med Center and Badtibira, Metallurgy Center. Enki’s boats brought gold from southeast Africa to Badtibira where they were processed into bars. At Nippur, Enlil build the Dur.An.Ki–Bond Heaven-Earth, a dim communication chamber with telescopes connected to a tall broadcasting tower where Enlil could talk with similar towers in each Nibiran center and where Nibirans on rockets spoke with Earth. 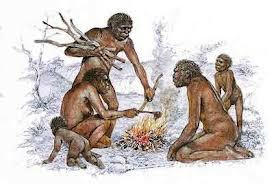 From Mars, Anzu and the Igigi demanded Enlil better their work- conditions, issue more elixir and build a recreation center on Earth. 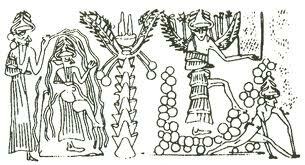 King Anu, from Nibiru, ordered Anzu to Earth to talk with Enlil. The King told Enlil to show Anzu everything. 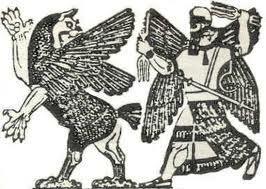 At Nippur, Enlil wouldn’t, at first, show the Durnanki to Anzu. Enlil told Anzu, “I alone rull all Earth operations: You and the Igigi must obey, not challenge, me.” Enki, however, told Enlil to show the gold mining, refining and transport system to Anzu. “Get Anzu to keep his men on the job.” So Enlil told Anzu he could enter the restricted area in sterile clothes. When Enlil stripped down the key to the control room, Anzu stole the key, slipped into the control room and grabbed the crystals that ran Sumer’s spaceport and cities. He forced Abgal to take him to the spaceport, Shu.ru.pak, where Anzu’s men declared him King of Earth and Mars. 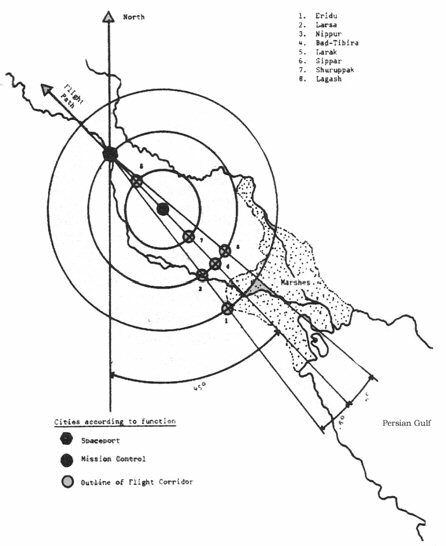 He turned off vital services at headquarters (Nibru-ki), cut Earth-Nibiru communications, and, from his aircraft, buzzed Enlilite positions. Ninurta launched his jet and shot Anzu down. He captured Anzu and dragged him before Enlil. 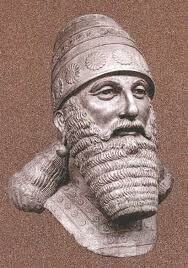 Nannar, Enlil’s Heir (the first son Sud bore) had secretly directed Anzu’s revolt. 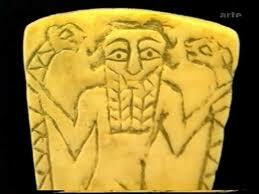 Nannar, with Anzu as his agent, meant to challenge Ninurta (Enlil’s Firstborn) as heir. 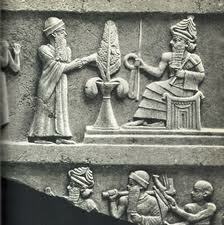 But after Ninurta slew Anzu, Enlil forced Nannar to honor Ninurta as Heir. Then Enlil exiled Nannar from Ur. Enlil and Ninurta could now, with unmatched firepower from the multi-headed missiles, intimidate even the Nibirans working the African goldmines for Enki. [ZS, 12th Planet: 107 -116; Wars: 95 -102]. 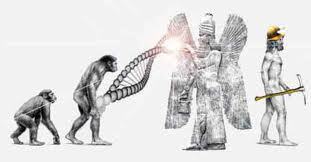 The Nibiran Goldmining Expedition ran smoothly and the two competing patrilineages of the Nibirans on Earth–the male descendents of Commander Enlil (Enlilites) and those of Chief Scientist and Engineer Enki (Enkiites) grew. ENLILITES, settled in Mesopotamia. Enlil and Ninlil had begat Nannar (Allah) and Adad (Ishkar). Ninurta married Nibiran King Anu’s youngest royal daughter Bau; they begat the royal house of Lagash. Nannar fathered Utu/Shamash and also a critical female member of the Enlilite lineage, Inanna/Ishtar. ENKIITES, settled in mainly in southeast Africa. Enki’s heir, Marduk, once a Pretender to the throne of Nibiru, at first cooperated with Enlil and Enlil, though of a rival lineage, put Marduk in charge of the base on Mars. Marduk settled his sons Seth and Osiris in the lower Nile. Osiris bore Horus. Enki’s son with Nannar’s daughter Erishkigal, Ningishzidda, joined Enki in his lab in south Africa. Enki and his royal wife, Damkina begat Nergal, Gibil, Dumuzi and Ninagal.